Have You Seen The Build A Bear Disney Collection? What happens when you combine two children’s favorites? Build a Bear and Disney have combined together to create what is sure to be a favorite with little girls everywhere! 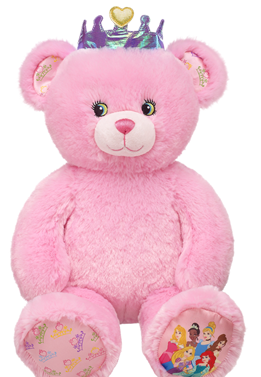 Have you seen the new Build A Bear Disney Princess bear? She features a sparkling crown and paw depicting beloved Disney Princess characters and majestic crowns. I think they’re adorable, and Build-A-Bear is also introducing a whole line of Disney Princess costumes for your bear so you can dress her up like any or all of your Disney Princess favorites! Or you can celebrate your favorite Disney characters in the Build A Bear store nearest you.